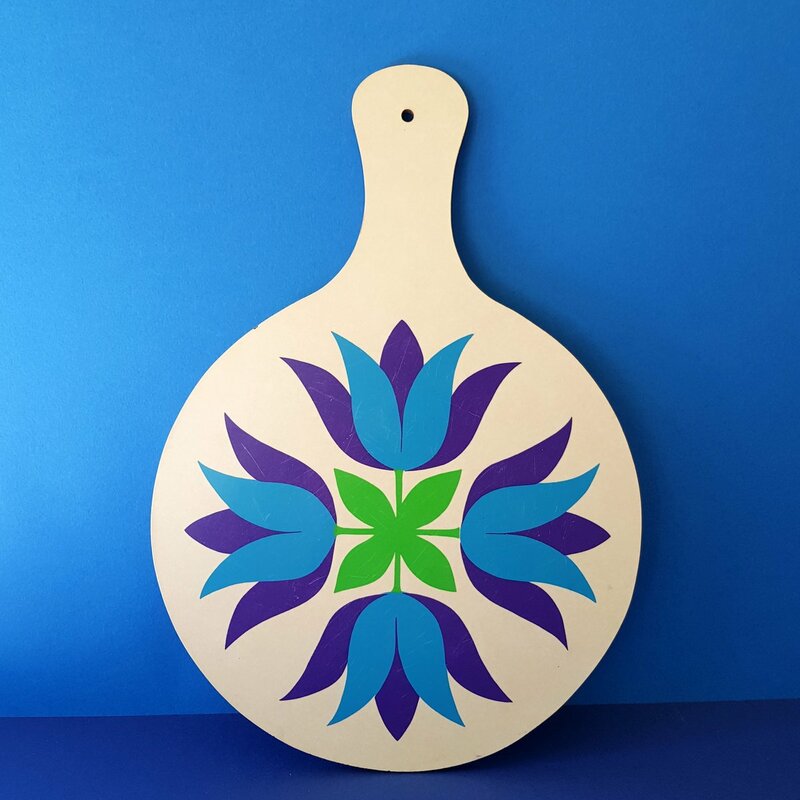 This is a wonderful and unusual melamine chopping or serving board, with the image of the stylised tulips typical of 1970s design. 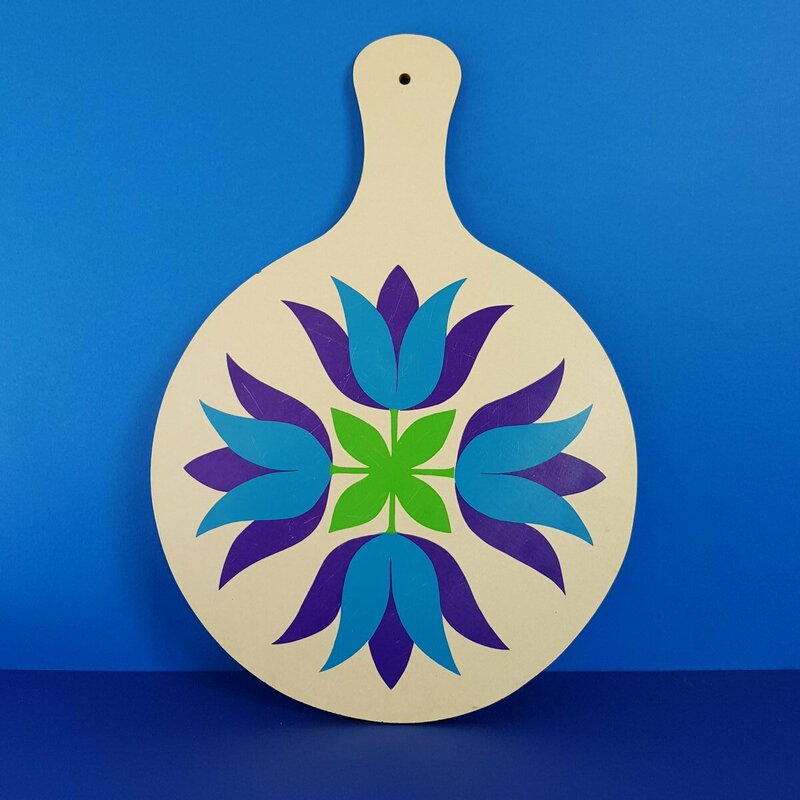 This item will look great hanging on the wall, or on display in any kitchen, vintage or modern. 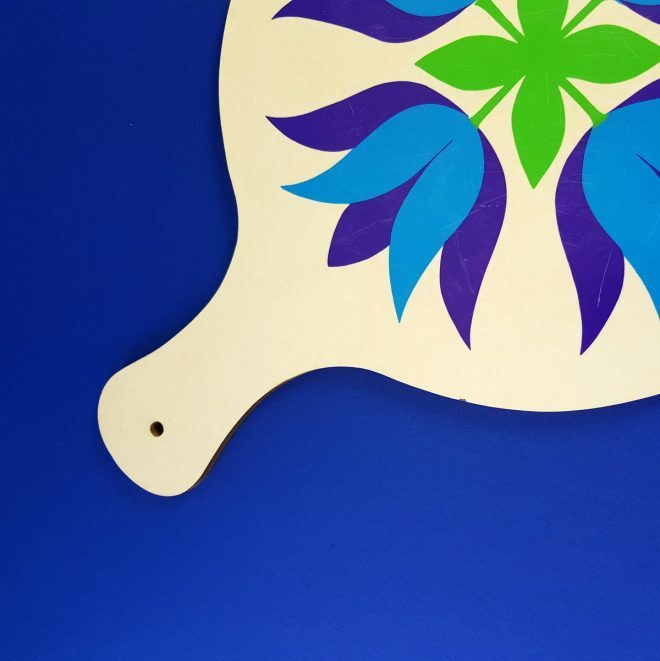 The colours of blue, purple and green are very much of the period. A great vintage item! Condition: I tried to show in the photographs that the board has some scratches, front and back, and a very small chip to the melamine. 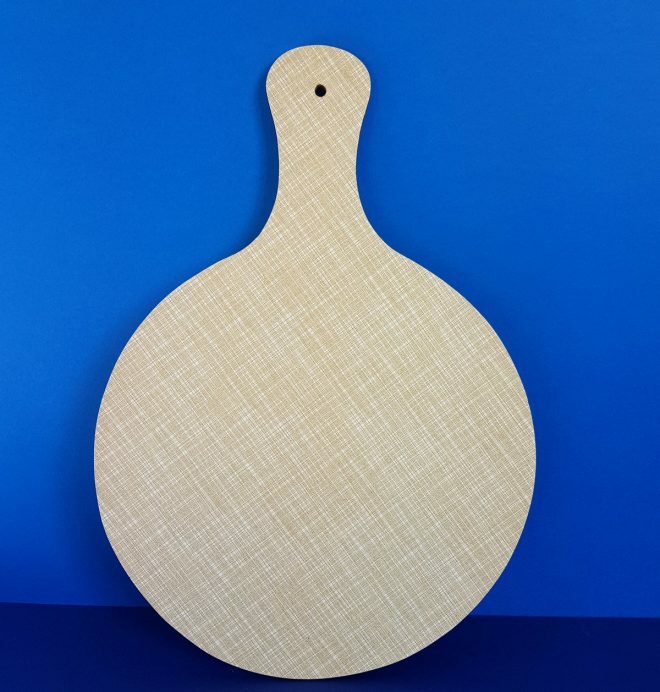 The photo’s make the chopping board background appear white, but it really is more of a cream colour. Please refer to photos for up close detail.